Dennis Summers graduated from Michigan State University in 1982 with a BFA in painting and a BA in Chemistry. In 1985 he earned his MFA in Experimental Media from the Ohio State University. He has created works ranging from large scale outdoor sculpture to indoor installations, to performance work, to artist books. 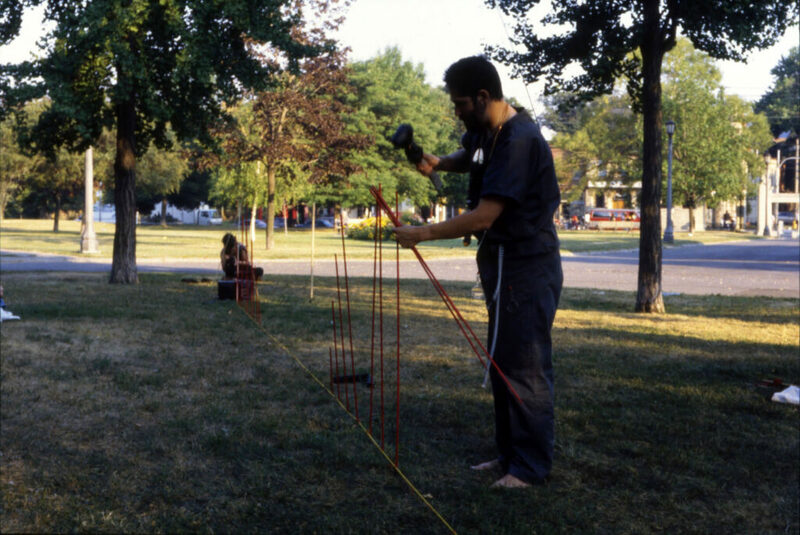 He was commissioned to created an outdoor interactive sculpture for the Michigan Festival held in East Lansing, 1987, and an outdoor interactive sculpture and performance event for “Art on the Move” in Detroit MI, and the CAGE gallery in Cincinnati OH. in 1993. His recent work includes the Interventions exhibit at the Detroit Institute of Arts. He performed every Sunday throughout the summer, walking around the museum in costume, doing small ritual actions (relating to the displays) and answering a cell phone to talk to curious museum goers.